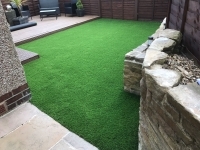 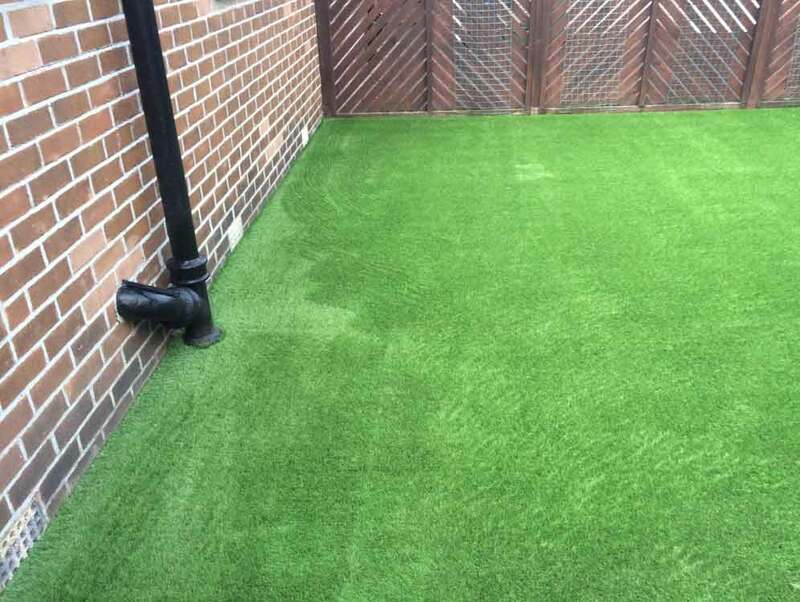 Polished Artificial Grass were invited to install a new artificial lawn in the back garden at this residential property in York, North Yorkshire. 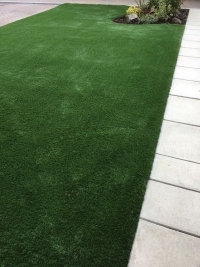 This is an installation of artificial grass over concrete flags. 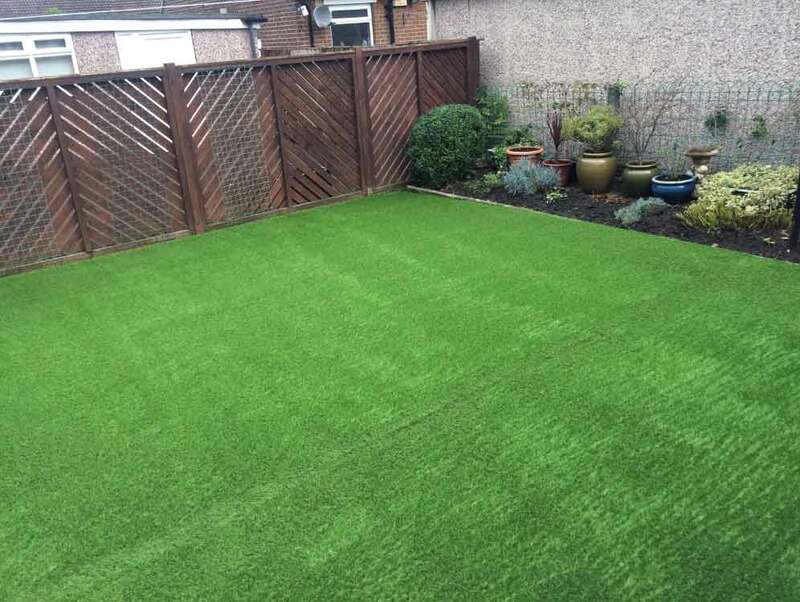 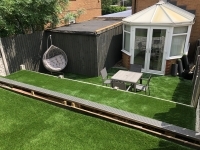 There was no need to take the flags out of this back yard and our team went right over the top after putting a 10mm thick underlay first before laying the popular 35mm artificial grass with spring back. 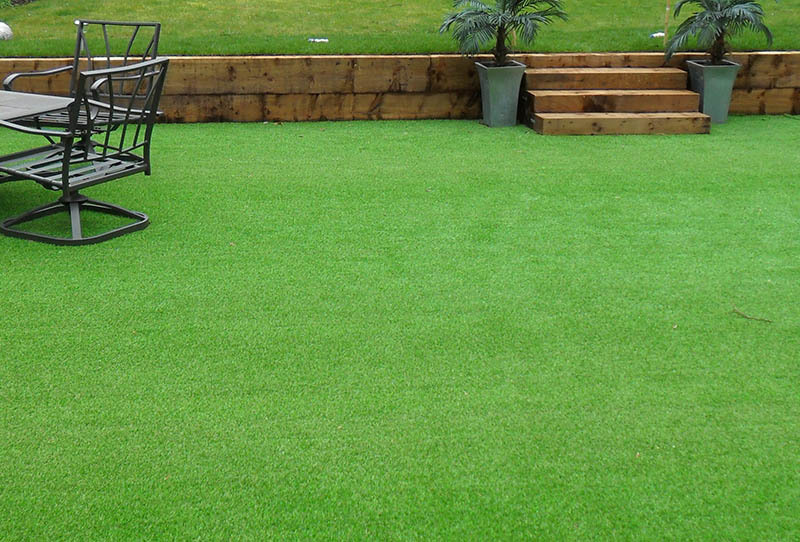 The artificial grass and some more greenery makes the space in this garden look so much bigger. 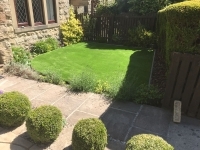 This is now also a much more usable garden, as before the customer was limited to just paving stones that can get slippy in the winter months. 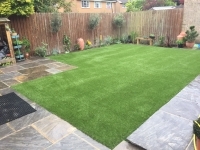 The garden now looks great, the customer was very pleased with their new artificial grass and they have booked in to have the front lawn done next summer!